When you stop for a few minutes of quietness and listen to what is going on in your brain, you will typically "hear" yourself talking to yourself. Every human being does this although many never take time to pay attention. Recent research shows that your style of self-talk can make a huge difference to your success in life. The article for this issue tells the story of mirror twins and their journey to empowering and life-changing self-talk. 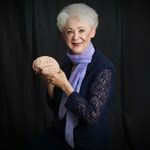 The webmaster has created "Taylor on the Brain" YouTube channel for seminar presentations that have been recorded by hosts in locations around the world. The direct URL is www.youtube.com/user/braingurutaylor although you may also access it from the website home page. You can subscribe to this channel to be notified when new videos are uploaded. The webmaster has created a "Brain Talk" YouTube channel, as well, for Q&As. The direct URL is https://www.youtube.com/channel/UCrGmPCpXP0pInonoGnUY3Cg although you may also access it from Taylor's website home page. You can subscribe to this channel to be notified when new videos are uploaded. Paperback books and some DVDs by title are available on www.Amazon.com. Whether your goal is reaching and maintaining a higher level of health, creating emotional and spiritual balance, or achieving clarity in thought and attitude, it all starts in the brain. 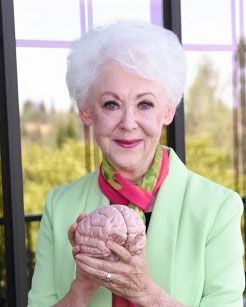 Longevity Lifestyle Matters is a brain-based program and one of the first of its kind in teaching people how to use their most powerful tool—their brain—in achieving an optimum and perpetual state of wellness. The simple but highly effective approach is not about dieting or deprivation. Nor is it about compulsively counting calories or over exercising. Rather, it embraces the exponential power of science in creating synergy between the brain and body, unlocking vast potentials for positive health and longevity. The LLM program is neither a "diet craze" nor a short-term fix. The researched components are designed to be implemented in balance, since the brain and body work best in balance. Every person's brain is different. The commonality is that the magnificent brain, once directed, will individually design and implement health approaches that can be maintained for the rest of the person's life—to help reduce risks for multiple diseases and chronic conditions and increase the potential for living healthier and younger for longer. A Longevity Lifestyle Really Matters. You may follow the LLM program in your own home using the textbook, companion notebook, and audiobook and you may also become a LLM Certified Facilitator, which authorizes you to present the12-week brain-based program in your community, school, church, or organization. Maintaining one's weight within a desirable range is part of Longevity Lifestyle—so is appropriate physical exercise. Although they are both represented in a Longevity Lifestyle, they need to be addressed in balance, so they are not overly emphasized. Nevertheless, Taylor has had so many requests for references related to weight that she went through her file and has created a section for "Weight" under Longevity Lifestyle. A Longevity Lifestyle is not about dieting, deprivation, compulsive calorie-counting, over-exercising, or throwing out all your favorite recipes. Among other things, it does embrace a positive mindset, portion control, and healthier replacement ingredients. To that end, a new section is available under Recipes entitled—no surprise—Healthier Replacement Ingredients. Using this strategy, you may be able to keep many of your favorite recipes just in a healthier format. Speaking of recipes, after a great deal of trial 'n' error in the TTK (Taylor Test Kitchen), Dr. T is finally pleased with the latest Brain Waffles recipe. Most waffles, in her brain's opinion, contain some less healthy ingredients, are often not cooked through to crispness, contain gluten in the form of wheat, barley, or rye, and are slathered in butter and sugary syrups or jam. Try these! You just might like them. They provide legumes, grain in the form of oats, and healthier fats from the avocado. Not only that, they are light and crisp—if you like light and crisp. Thompson has stated what many people have discovered: the goal has to work for the individual's brain or it likely will not be attained. The other day a couple individuals cornered me because, as they put it, "Our trainer has set a lot of very specific goals for us. Supposedly they are designed to help us be healthier and live longer but we are having a great deal of difficulty keeping up with them." Hmmm-m. That can definitely be a problem, especially when the goals are set by others: family, friends, colleagues, school, church, society, or you-name-it. Often those very specific goals have little if anything to do with your brain and your life and have not been personalized to who you are as an individual or even internalized as part of your mindset and self-talk. That's one reason the 12-week brain-based Longevity Lifestyle Program contains 14 components that are to be applied in balance and personalized to the individual. It's the difference between "you should" and "here are the current recommendations for you to apply personally in ways that work for you, your brain, and your life on a daily basis." By all means, set solid goals for yourself and your life. Make sure they are tailored to your brain and to the vision you have not only for your own life but also for what you want to leave behind as a legacy. Your goals then become a personal choice rather than a "should" or "have to." Built into your mindset and self-talk, they become a way of living rather than "you should" or "you have to." It can make all the difference in the world between failure and success.